Founded in the year 1981 on the occasion of Shivachaturdashi. 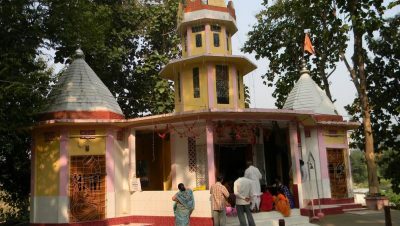 There is a Eco-Kid park, temple of god Shiva and an idol of Lord Buddha near the Bhabatarini Temple. 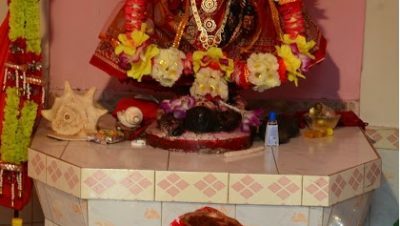 Thousands of pious people from all over the region visits the temple during Shiva Chaturdashi and Kali Puja. Location: At Kumarghat, 26 Km from District Head quarter Kailashahar. Nearest Airport is at Agartala which is around 160 KM from Kumarghat by road. The place is within Kumarghat town. Kumarghat Railway Station is at 108 KM from Agartala rail station. The place is within Kumarghat town. Nearest cities like Guwahati, Silchar, Shillong and Agartala is connected with Kumarghat by Bus and other small vehicles. The place is within Kumarghat town.